Today in forex market trading the GBP/AUD had a sell signal on The Forex Heatmap®. This pair is now in a strong down trend and should continue much lower, we see no nearby support levels below the current pricing. We will continue to prepare trading plans for additional sells moving forward. The sell signal you see below is a real time signal from the The Forex Heatmap®, which provides live trading signals for 28 pairs and a visual map of the forex market. 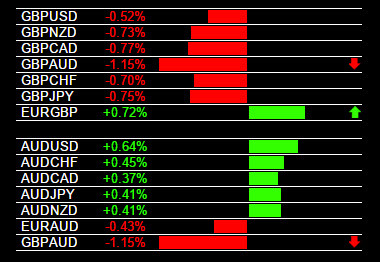 This snapshot is of the British Pound (GBP) pairs and shows the seven pairs we track in this currency group, as you can see the GBP has consistent weakness on all 7 pairs, the EUR/GBP is rising because the GBP is on the right side of the pair. 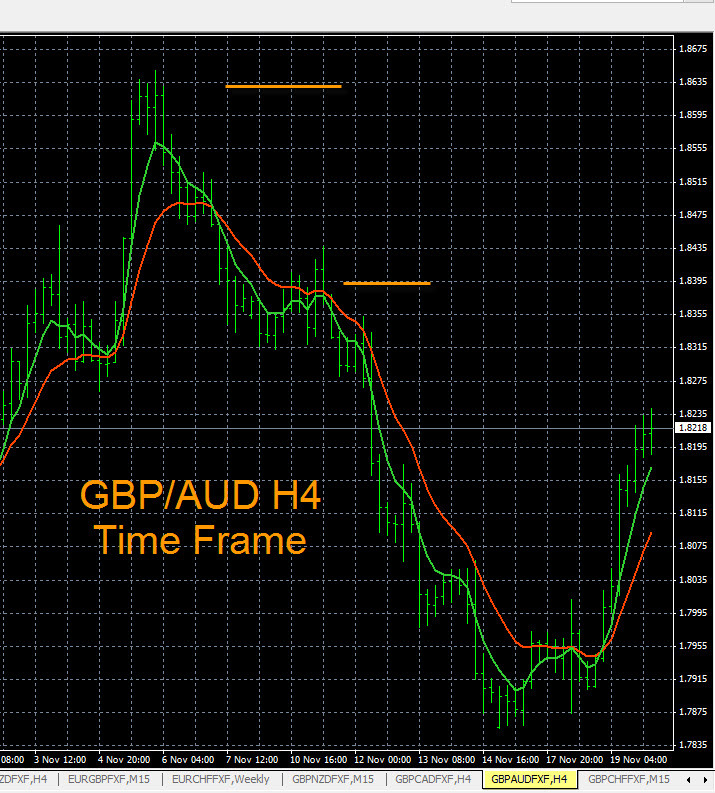 The GBP/AUD is tending up on the H4 time frame. Several pairs on the forex market are also cycling or oscillating on the H4 time frames. The current resistance level is around 1.8235 on this pair. You can set a buy alert at this point. When the alert hits you can check The Forex Heatmap® to verify the buy entry. Past the alert price there is some resistance at 1.8390, but it has potential to go much higher, possibly the 1.8600 area, shown by the yellow line. This represents about 375 pips of overall potential still remaining on the H4 time frame oscillation/range cycle. 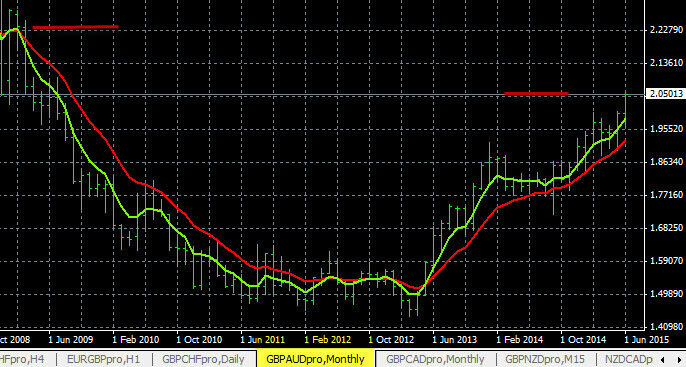 This analysis of the GBP/AUD was performed with multiple time frame analysis.